Fall is almost upon us, and there’s nothing like an autumn camping trip to enjoy those remaining days with sunny, clear afternoons and chilly nights. 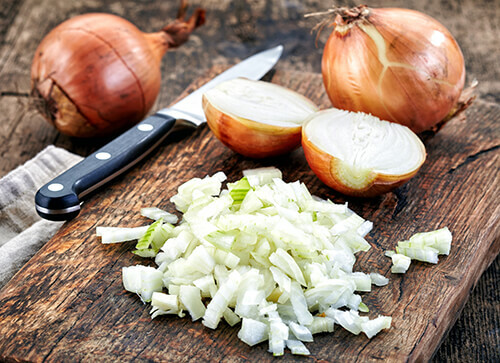 The last thing you want is to spend too much time on meal preparation or too much money on eating out, so having some quick, easy camp recipe meals ready to throw together is just what you need in order to make the most of that dwindling daylight. So throw on a flannel shirt, throw a few ingredients in a pot, and go take a hike. Enjoy the outdoors! When you return at the end of the day to your new or used RV from A&S RV Center, supper is ready to dish up, take the chill off, and warm you up from the inside out. Best of all, it’s a one-pot stew, so dirty dishes are kept to a minimum and clean-up is easy! Combine all ingredients in Dutch oven or crock pot. If using Dutch oven, bring to a boil first, then reduce heat to medium. When potatoes are tender, add entire bottle of BBQ sauce. If using crock pot, cook on low 4-6 hours, adding BBQ sauce and turning off heat 30 minutes before serving. 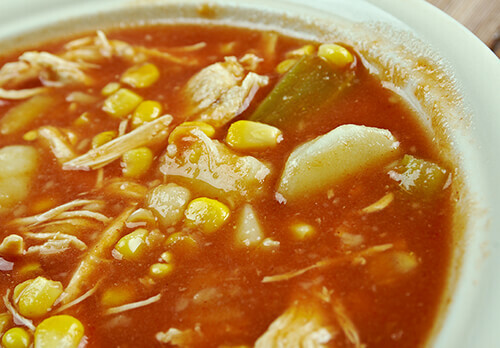 Brunswick Stew pairs wonderfully with corn bread, and keeping a cornbread mix on hand in your pantry is a great way to add a quick extra touch when it’s time to serve up bowls of stew. You’ll notice that all stew ingredients except the butter are dry/pantry goods, so this is an excellent recipe to have on hand while traveling without worrying about perishables. If you’re looking for a new or used RV with a great kitchen layout, pantry storage, and comfortable dining area, contact us today! We can’t wait to help you find a model that has everything you need to live life on the road!